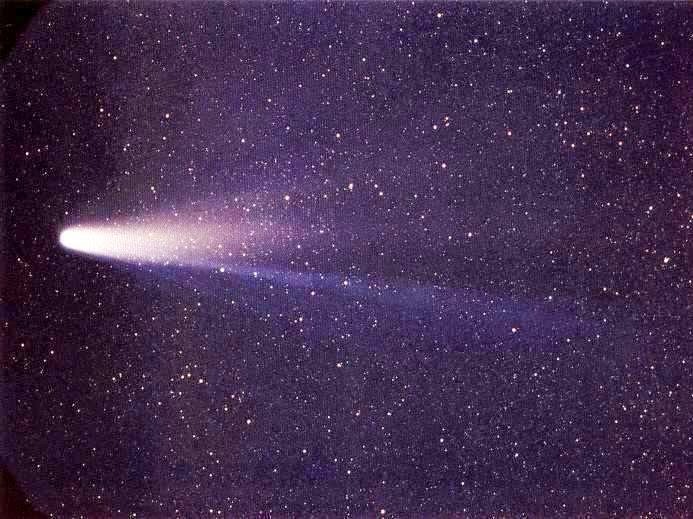 Interesting Facts About Halley's Comet | Do You Know? 1. Halley’s Comet is named after English astronomer Edmond Halley who first determined its period of orbit. It was the first comet to be recognized as having a periodic orbit. 2. It last appeared in the inner Solar System in 1986 and will return again sometime in 2061. 3. Records of humans observing Halley’s Comet go back thousands of years, with appearances noted by Babylonian, Chinese and European star gazers. 4. 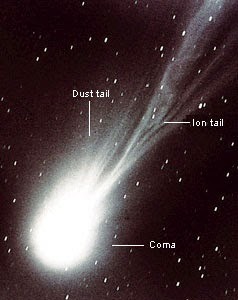 The tail and fuzzy glow you see around Halley’s Comet is known as a coma. It occurs when the comet gets close to the Sun and compounds such as frozen water and carbon dioxide sublime (rapidly change from solid to gas) from its surface. 5. While the coma over Halley’s Comet can stretch up to 100,000 km across, the nucleus is actually small, only around 15km long, 8km wide and 8km thick. 6. Halley’s Comet appearance in 1986 allowed researchers to investigate its make up more closely using spacecraft. While some previous theories were proven correct, other models were altered with the new information. For example, while earlier models predicted the comet to feature many volatile ices, the actual amount was less than first expected. 7. Halley’s Comet is the most well known comet. It is known as a periodic comet because the time it takes to orbit the Sun is less than 200 years. 8. Halley's Comet is also referred to as 1P. The 'P' stands for 'periodic,' while the '1' refers to being the first periodic comet to be identified. 9. The orbit of the comet is described as 'retrograde,' meaning that it travels opposite the direction of planetary orbits. 10. Halley's Comet is estimated to be 4.5 billion years old. The shape of the comet is typically described as looking like a peanut. 11. Its composition is comprised of water, hydrocarbons, iron, carbon monoxide, methane, ammonia, and sodium. 12. Halley does not always display a 76-year orbit. Over time, the orbital period of the comet has ranged from 76 years to 79.3 years. 13. Using Isaac Newton's new Laws of Motion, the astronomer, Edmond Halley, made a prediction in 1705. He stated that a comet which had appeared in 1531, 1607 and 1682 would reappear in 1758. Although he was proven to be correct, Halley did not live to see it. However, the comet was later named in his honor. y Europe's Giotto probe. This was the closest that any probe had ever gotten to Halley . Giotto launched into flight in July of 1985 and on March 13, 1986, came as close as 370 miles from the comet.